Now that a controller cluster exists, it’s time to prepare the hosts and clusters for NSX. This will provide the necessary user space tools and kernel modules in a non-invasive fashion. I’ll walk through the steps for both a GUI and API based installation. In order to install the NSX bits on a host, you must select an entire cluster for the installer. I would imagine this requirement exists to ensure all hosts inside of a cluster are able to provide the NSX services to the virtual machines. There would be some serious consequences if your VM moved to a host without, say, the firewall functionality and was suddenly exposed. I’ve chosen to prepare my Lab cluster below, which consists of three ESXi 5.5 hosts. Navigate to the Web Client > Networking & Security > Installation > Host Preparation. Choose your cluster and click the Install link. You can watch the install tasks from the web or legacy client – for flavor, I mixed it up and watched the tasks kick off in the legacy client. Note: The ESXi hosts are never put into maintenance mode. I’m running active workloads on the host during this process. It’s normal to see a status of Installing with a Firewall status of Unknown during the install. It took my hosts a few minutes to install and report back. Once completed, the status will change to the version of code running in the cluster. In my case, that’s version 6.0.3. There should also be a Ready checkmark next to each host with a Firewall status of Enabled. I’ve expanded the cluster objects below so that you can see what it looks like. The hosts are now running all of the required NSX code. In the next post, we’ll focus on Configuring VXLAN and VTEPs so that we can start building logical switches. Incredibly informative. Thanks for the article! I can’t wait to have a trial NSX copy to perform all the steps you described so well! Just finished a 2 day NSX class at EMC Office in Conshohoken PA, great potential for this. Great information in a useful format! For one of my clusters, We attempted and uninstall that just hangs at the sand clock, been like that for days. Not sure if the uninstall completed or now. Maybe this is a cosmetic bug that will disappear if I reboot vCenter (which is not something I want to do). In this state, I can’t re-install either, any ideas anyone? Hmm. You could try bouncing the NSX Manager appliance or the vCenter’s Web Client service. Also, check the hosts that are having their software bits uninstalled and see if they are in a “reboot pending” status. Speaking about VM migration (seeCluster Installation) I don’t think it can be moved away from the cluster since it uses a logical switch port, am I wrong? Great to see that you can do it without putting the VM in maintenance mode. Thanks you for the article. Information given is very straight-forward. 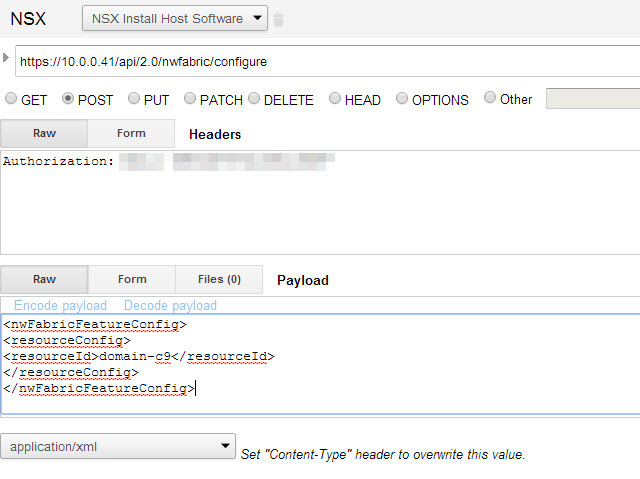 Thanks Chris, I´m setting up my NSX lab, this blog is very useful.